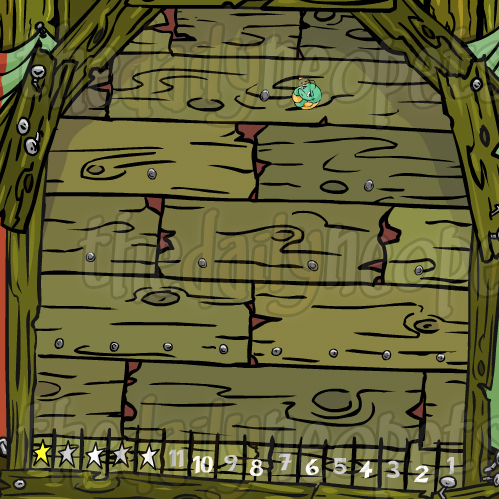 Located in the Deserted Fairground, there are several rigged games in Neopia. Great if you want to blow a bunch of NP in one sitting, but other wise, not so much. 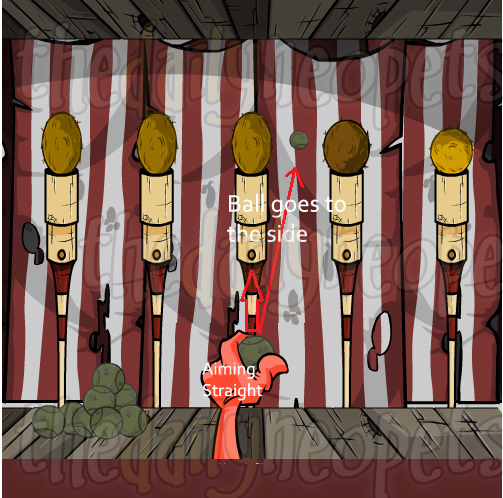 Coconut Shy seems fair, but when you actually throw the ball, it goes to one side. You're lucky to hit the coconut and get the half of what you paid prize. If you manage to move the coconut but not knock it down, you get 300NP. If, by some off chance, you actually knock one down, you get 10,000NP. If you are really lucky and throw the ball hard enough to explode the coconut, you get 500,000NP.You can read more about Coconut Shy Theory here. This game looks fair, but the cork goes off at a random angle when you shoot it. You will rarely hit anything, if ever. Not to mention, at 100NP a pop (no pun intended) you'll but out in no time. This game is obviously riggged. The board is slanted! You're lucky to land on a 4 or a 5, much less a star! I could go on forever about this, but I don't want to bore you. Now, this game might or might not be rigged, but given it's shady location, the odd grin of Arnold the Mynci, I'd have to say it is. 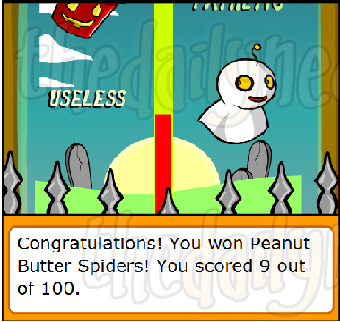 This game doesn't really have anything to do with how strong your pet is; your score is completely random. 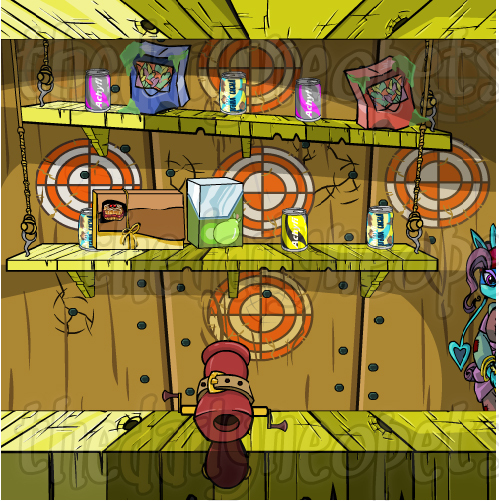 The jackpot is the neopoints that have mounted over time as pets pay to test their strength. If, by some miracle, you hit the jackpot, you'll receive all of the neopoints and the jackpot will be reset to zero. Don't go running off hoping to get instantly rich though. You're lucky if you get more then the 100NP you paid back, let alone the jackpot. The game, however, does give a fair amount of items with decent value so it may be worth your while. Four rigged games, one spooky area. If you do decide to try your luck, or have tons of NP to spend, then go right ahead, but if not.... stay away. That place is evil!